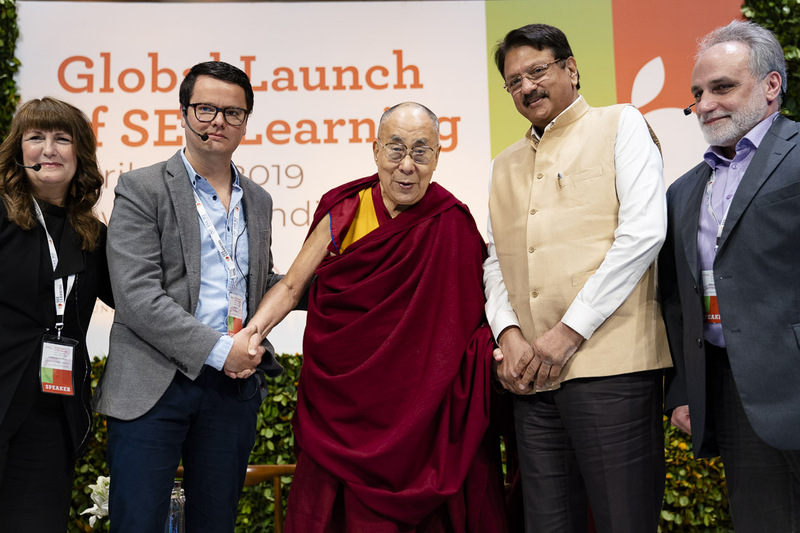 His Holiness the Dalai Lama with fellow panelist Indian industrialist and philanthropist Ajay Piramal on the second day of the SEE Learning Global Launch in New Delhi, India on April 6, 2019. 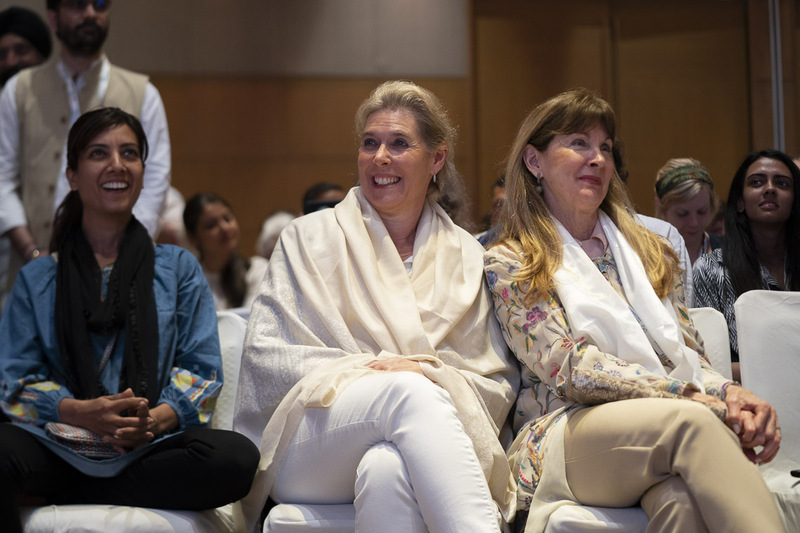 New Delhi, India - When His Holiness the Dalai Lama reached the conference hall this morning, Geshé Lobsang Tenzin Negi greeted him and asked whether he had slept well. Turning to the audience, he explained that when they were encouraged to develop the SEE Learning framework in 2015, the team were nervous. 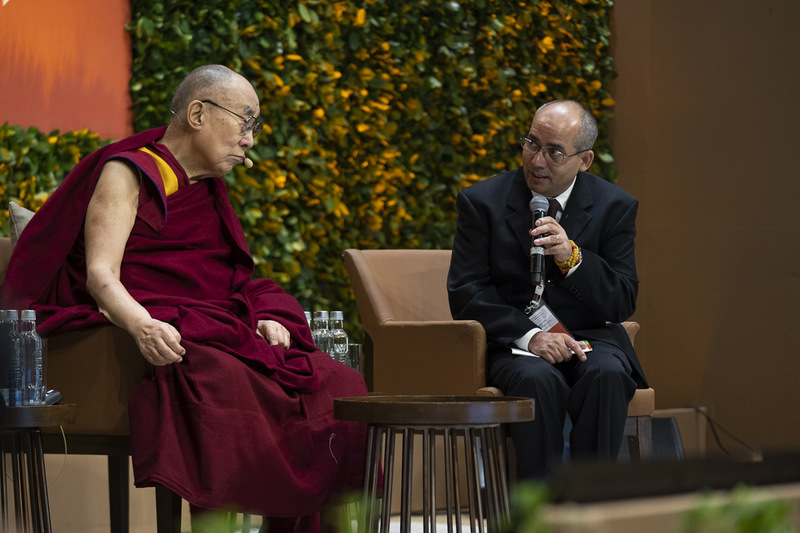 New Delhi, India - Before joining celebrations of the launch of the SEE Learning program today, His Holiness the Dalai Lama met with a group of Indian professors who are working with Prof Samdhong Rinpoche and Prof Ngawang Samten to prepare a course of study focussing on Ancient Indian Knowledge. 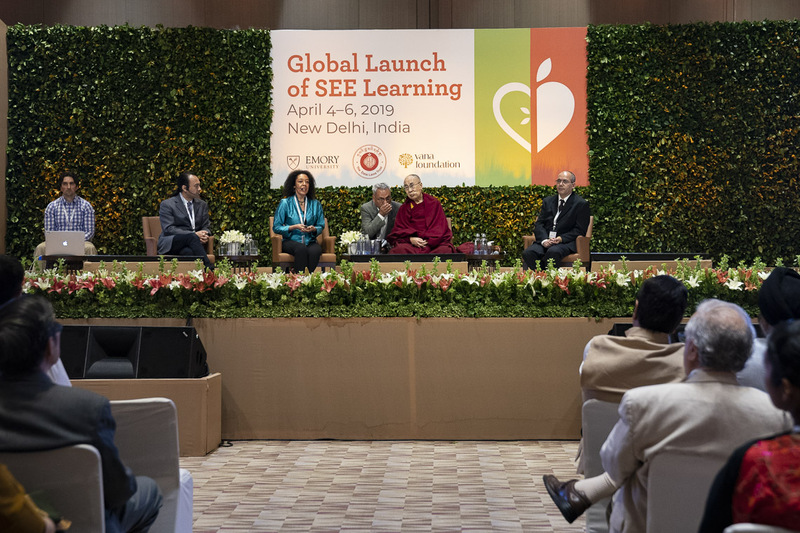 New Delhi, India - His Holiness the Dalai Lama is in Delhi for the Global Launch of the Social, Emotional and Ethical Learning (SEEL) program developed at Emory University, Atlanta, Georgia, USA. However, to begin with today, he met with Venkat Krishnan, the founder of Daan Utsav - Festival of Giving.